Watch burst water pipe causing chaos! 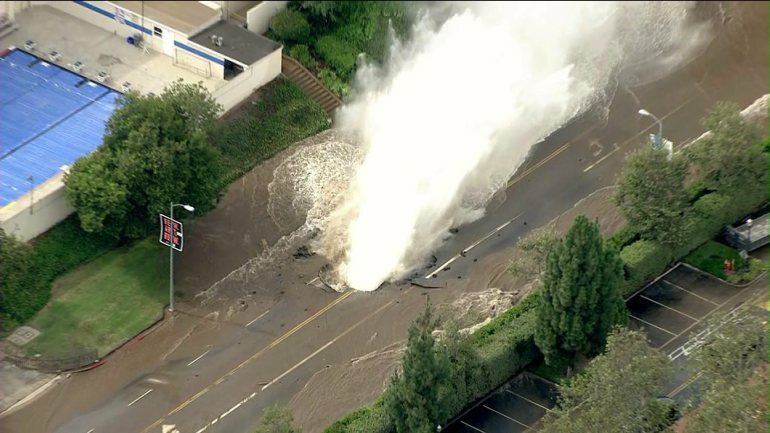 At the University of California, Los Angeles, a 93-year old water pipe has burst spewing water high in the air! The force of the water caused a giant crack in the road above and a huge 30 feet fountain to shoot up! It looks pretty impressive but is causing havoc for Los Angeles residents! The fire crew on the scene have said so far ten million gallons of water have been released – that’s the equivalent of 142,857 bath tubs full!